Introducing the new Work At Home Mums Monthly Giveaway! Here is your chance to win. Each month we will be offering some exciting prizes. Some will be fabulous products, others will be things useful to a WAHM in business, and some might just be some cool stuff we’ve found. In the WAHM Monthly Giveaway for September you can win one of 3 Three Month Spice Subscriptions from Spice Quarter or one of 3 Reed Diffusers from Havana Home. Bring the flavours of the world to your kitchen with Spice Quarter. Spice Quarter is a monthly subscription box that deliver premium quality spices to your door every month. They want to make home cooking healthy and fun. As well as your three spice blends each month, your subscription box also includes beautifully designed recipe cards, with simply, healthy and easy to create meals for your spice blends. Just think of all the delicious meals you could be creating – Nawabi rice, spiced lamb cutlets, breakfast granola, jerk chicken: these are just some of the meals that could be on the table at your place. Spice Quarter have given us 3 x 3 month spice subscriptions to win this month valued at $50 each! Treat Yourself to a Havana Home Luxury Fragrance. 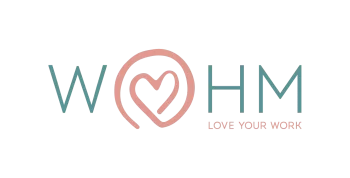 Havana home is Australian owned and all of their products are made in Australia from the highest quality ingredients to ensure that they bring you a luxurious and non toxic product. Every scented candle or diffuser is presented in beautiful packaging designed by a Newcastle based artist with stunning botanical illistration of the fragrance inside. Every one of their beautiful fragrances has a story to tell and a history of it’s own – why not include one of their gorgeous products in your own story. Havan Home have given us 3 reed diffusers to give away this month valued at $60 each! All you need to do to enter is sign up to the Work At Home Mums e-newsletter using the below entry form. Entries are open from the 1st September 2017 and close on the 30th September 2017 at 11:59pm. Winners will be chosen at random on the 1st October 2017 and will be notified via email. Please read the terms and conditions for more information.